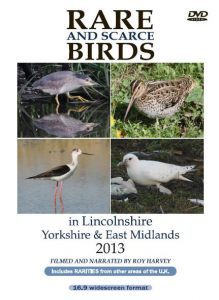 Lincolnshire hosted some superb birds throughout the year including the first-ever records of both Short-toed Lark and Siberian Stonechat for Gibraltar Point, with the same venue also attracting Western Subalpine Warbler and White-rumped Sandpiper. One of the lesser known county reserves - Boultham Mere, had an unprecedented influx of visitors to see a remarkable three Blue-winged Teal. The RSPB Wash reserves invariably come up with some good birds and again did not disappoint with a Lesser Scaup at Freiston, and Frampton hosting Baird's, White-rumped and Buff-breasted Sandpipers, plus a pair of Black-winged Stilts. Neighbouring Yorkshire had an excellent year for unusual rarities with a Baikal Teal at Flamborough and a Rock Thrush at Spurn in the spring. 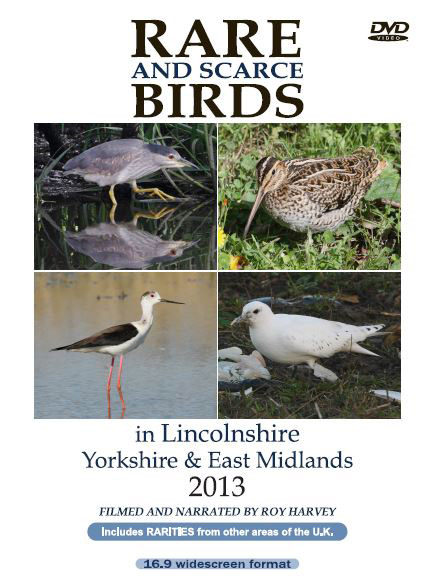 A superb Great Snipe was at Kilnsea in September, and a very showy Ivory Gull graced Patrington in December. The supporting cast for Yorkshire included Olive-backed Pipit and a lovely Icterine Warbler, both of which were in the Spurn area. In addition, Flamborough attracted a Serin and an Isabelline Shrike. Inland, a party of Two-barred Crossbills were at Broomhead Reservoir for several months - the first-ever multiple sighting of this species in England. Also captured on video are some superb birds from outside the featured region - Black-bellied Dipper, Red-flanked Bluetail, Roller and Wilson's Phalarope were all in Norfolk with Lesser Grey Shrikes in both Suffolk and Northumberland. A splendid Bridled Tern visited the Farne Islands and Nottinghamshire attracted a very popular singing male Melodious Warbler in June, followed by a Pied Wheatear in November. Fourteen Parrot Crossbills spent most of December at Budby Common. A Night Heron in Staffordshire gave stunning views, as did the Ring-billed Gull at Melton Mowbray and a Bonaparte's Gull at Eastbourne. The highlight at the end of the year was the Brunnich's Guillemot in Dorset. Over 70 sightings are featured in the 164 minutes of running time, which includes the usual narration. Note that this production is in the 16.9 widescreen format.